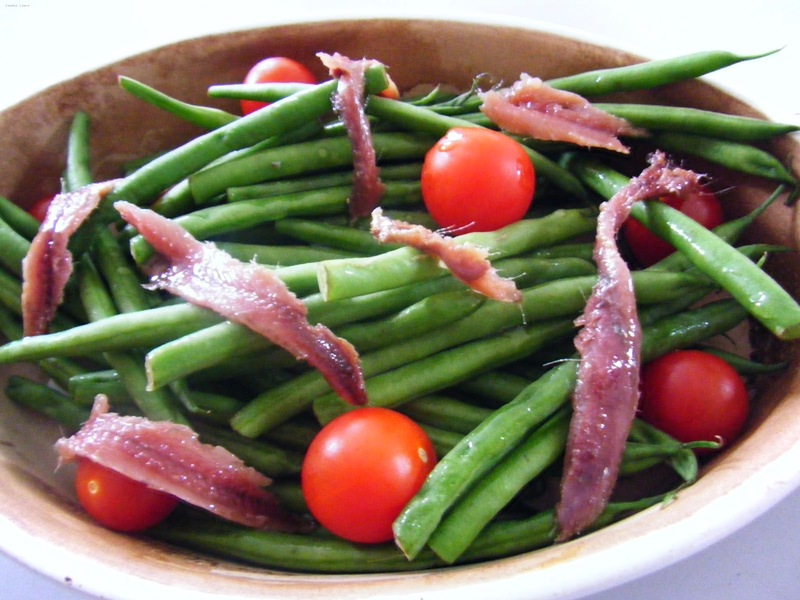 I have another simple side dish for you today, anchovy green beans. 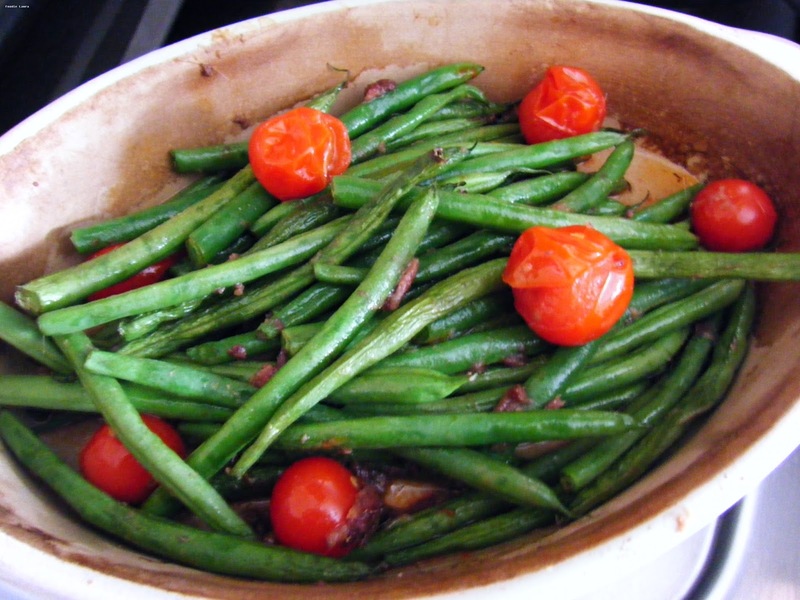 These baked green beans are salted with anchovies. But this dish doesn't have a fishy taste, the anchovies break down and their saltiness lightly coats the fine green beans. The cherry tomatoes add a sweetness and a final squirt of fresh lemon rounds balances the whole dish out. 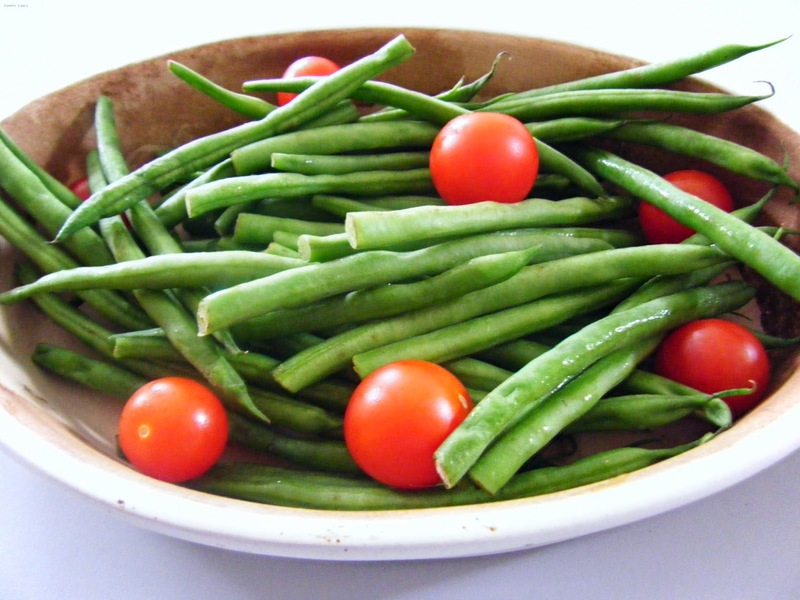 Add the green beans and tomatoes to an oven proof bowl. Scatter the beans with half a tin of anchovies and a drizzle of lemon juice. Bake in the oven for 15 minutes at 180c until the anchovies melt away and the tomatoes will be shrivelled and beginning to burst. Try maple roasted parsnips another simple side dish.